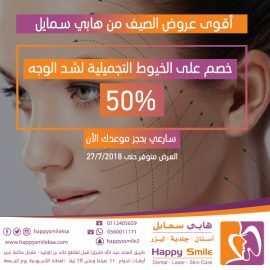 Happy Smile Center provides private skin care clinics with all its services including skin cleansing, chemical peeling, diamond peeling, Carbon peeling, HydraFacial, Derma Roll, and derma pen sessions. The center also provides hair care services and sessions on the Hairline; an integrated hair care station, in addition to Derma Roll sessions. Our modern devices help to stimulate hair growth, reduce fallout and strengthen hair follicles with three laser packs.